21 Lakhs By Shah Rukh Khan, 5 Lakhs By Jacqueline Fernandez; Celebs Stand With Kerala! 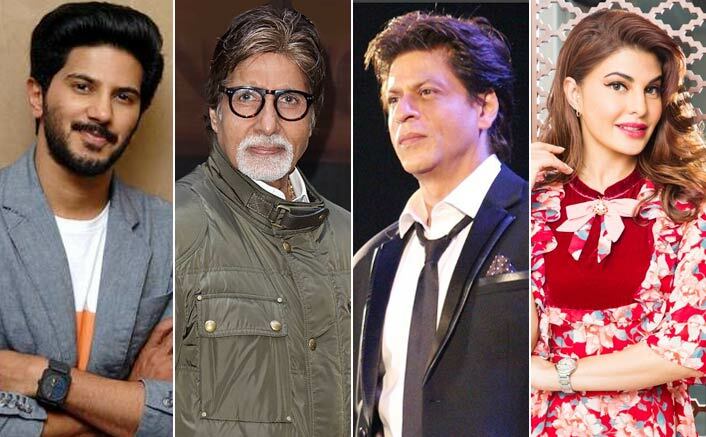 Celebrities like Amitabh Bachchan, Shah Rukh Khan, Dulquer Salmaan and Jacqueline Fernandez have contributed towards relief work in flood-ravaged Kerala. They have also urged others to donate. “The devastation caused by incessant rain in Kerala is frightening. Hundreds and thousands of our sisters and brothers are in deep anguish! We must do all we can to contribute as much as we can towards the needs of the people of Kerala. I have. You must too,” Amitabh tweeted. T 2904 – The devastation caused by incessant rain in Kerala is frightening ! Hundreds and thousands of our sisters and brothers are in deep anguish ! We must do all we can to contribute as much as we can towards the needs of the people of Kerala .. I have .. you must too .. The death toll due to rains and floods in Kerala increased to 370. Shah Rukh’s Meer Foundation has donated Rs 21 lakh to a relief group working amongst flood victims. Jacqueline committed to donate Rs 5 lakh to NGO Habitat for Humanity India’s Kerala Flood Relief Programme. She said in a statement: “I am deeply pained to see the devastation caused by the floods in Kerala. My heart goes out to the people in need and in order to help them, I have decided to donate to Habitat for Humanity India. Satyameva Jayate Box Office Day 5: It Is A Hit In Five Days Flat! Kaun Banega Crorepati Season 10: 18 Years & A Never Aging Amitabh Bachchan! Filmmaker Priyadarshan has already handed over his and actor Akshay Kumar’s cheque to Kerala Chief Minister’s Distress Relief Fund. “Let’s together build back Kerala back to its glory again. No politics, no religion only humanity. Let’s stand together to save Kerala,” he tweeted. Actress Chitrangda Singh has also urged people to “join hands and hearts” and “help our countrymen. Stand for Kerala”. Oscar winner Resul Pookutty has thanked all the celebrities like Vidya Balan, Sonam Kapoor and Alia Bhatt who have contributed to the cause. The post 21 Lakhs By Shah Rukh Khan, 5 Lakhs By Jacqueline Fernandez; Celebs Stand With Kerala! appeared first on Koimoi.